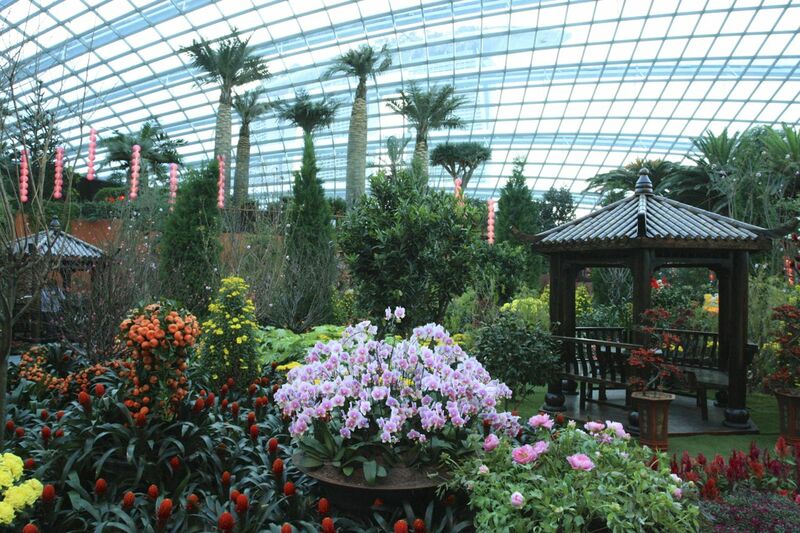 Spring Celebrations 2013 is happening at Gardens By The Bay! 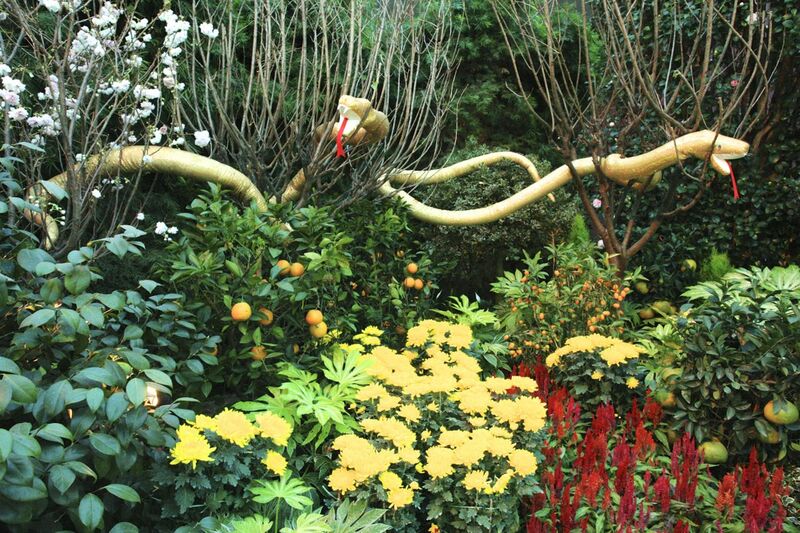 Welcoming the Year of the Snake with a beautiful of flora display in the flower dome featuring some 8,000 colourful blooms. The Gardens By The Bay is definitely a destination to visit during the Chinese New Year period holidays with your family and loved ones, enjoying the beautiful flowers blooming and sculptures around the Gardens By The Bay. I was invited by National Parks Singapore (NParks) and Marina Bay Division Singapore to visit the Spring Celebrations 2013, sharing information and photographs of the Spring Celebrations 2013 at Gardens By The Bay, with fellow Marina Bay AmBAYssadors. We took the Garden Cruiser to tour the Gardens By The Bay and had a greater understanding of the different unique sculptures located in the various parts of the Gardens. 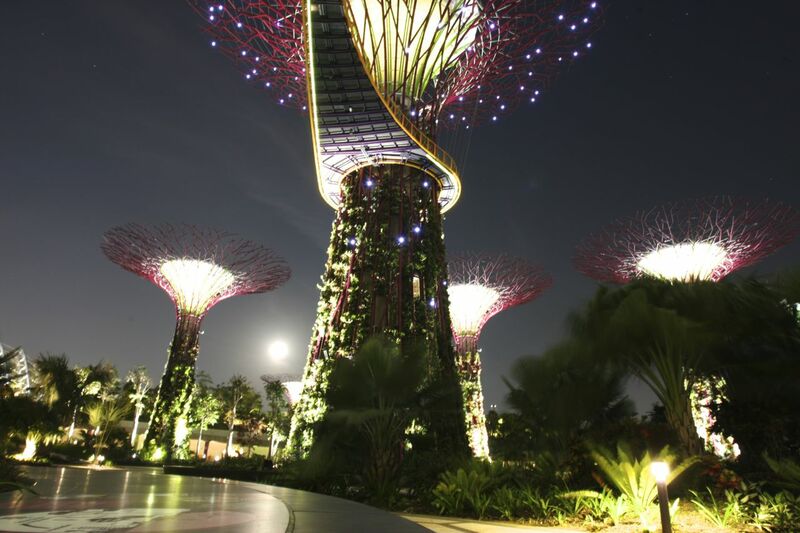 Therefore, when you are visiting Gardens By The Bay, do keep a lookout for them! When you are at Gardens By The Bay, you have to visit the the Meadow, you can see something very unique and very impressive, it’s a “very big infant” sculpture, by internationally acclaimed artist Marc Quinn. The impressive sculpture is known as Planet, explores the intimate relationship between nature and humanity, and serves as a natural extension of the Gardens’ efforts to connect people with the stories of plants and the planet. The sculpture is a depiction of the artist’s infant son and he can be seen appearing to be “floating” above the ground. You have to visit this impressive sculpture yourself to view it! 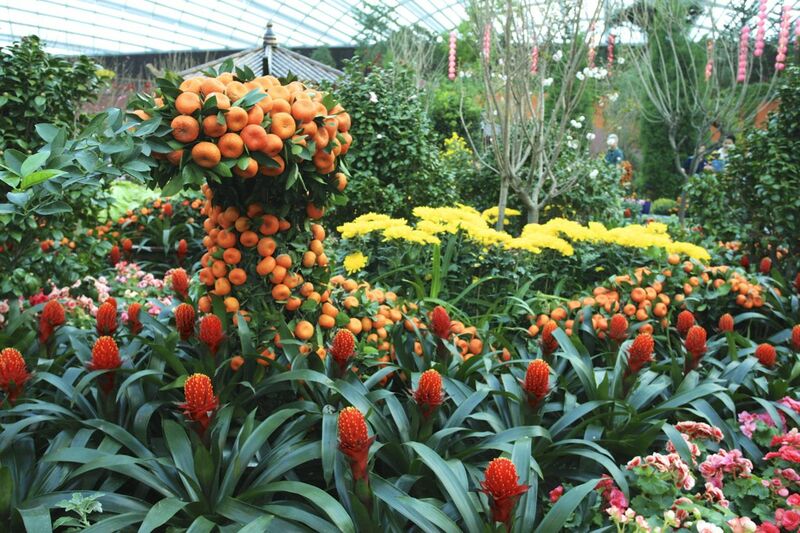 Do visit Gardens By The Bay during this Chinese New Year holidays period! Next stop was Flower Dome, one of my favourite places in Gardens By The Bay. Inside the Flowers Dome, Spring Celebrations is in the air! With about 8,000 colourful blooms, spectacular and in bright colours, you can find a selection of penjing (or bonsai) up to 200 years old, 3-metre-long snake topiaries, grand kumquat plants measuring 3 metres in diameter, and life-sized oriental pavilions inside the Flower Dome. Here’s more information about Spring Celebrations 2013 at Gardens By The Bay! Details: Admission charges into the Cooled Conservatories apply. Tickets can be purchased here. I had a fun time photographing the various flower blossoms inside the Flower Dome at Gardens By The Bay and would go back again to enjoy the flora and fauna, enjoy the greens and gardens. Besides that, I am keen and looking forward to photograph more different perspectives and views of the SuperTrees during the night! Do check out my dedicated Flickr collection and 500px collection on Gardens By The Bay! 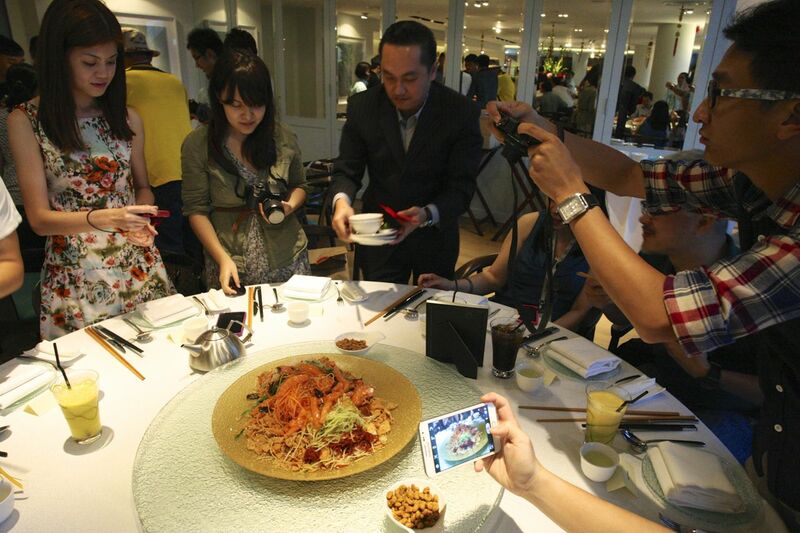 After finishing our visit at the Flower Dome, we were hosted to a dinner at Majestic Bay Seafood Restaurant, located at Flower Dome by NParks and Marina Bay Division Singapore, with a Lo Hei to welcome the Year of the Snake, wealth, prosperity and good luck in the Year of the Snake! This was a time for networking and catching up with fellow Marina Bay AmBAYssadors, photographers, social media enthusiasts and bloggers, along with NParks and Marina Bay Division staff. I would like to say a big Thank You to NParks and Marina Bay Division Singapore for the warm hospitality and time with us! Wishing all 恭喜发财! See you all at Gardens By The Bay Spring Celebrations 2013!